In 2012, Time Magazine named 39-year-old Asghar Farhadi one of the most 100 influential people in the world. This was the same year he won a well-deserved Oscar and a Golden Globe for his film A Separation. 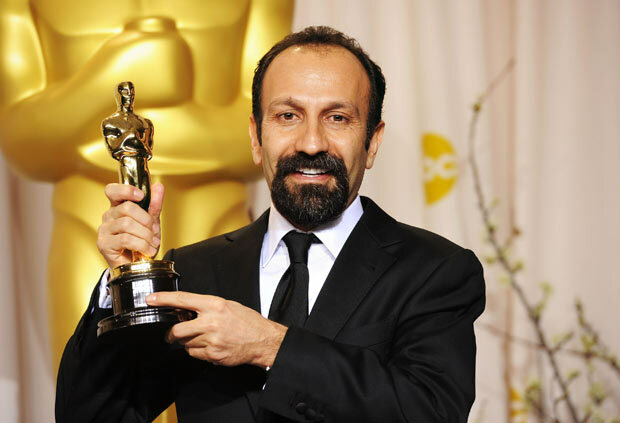 His most recent film The Salesman (which takes its title from Death of a Salesman, the Pulitzer Prize-winning Arthur Miller play) is again nominated for an Academy Award for Best Foreign Language Film. It’s another domestic drama–set in Tehran, Iran. Subtitles again. But to pass on a film like The Salesman is to deprive yourself of a masterful piece of storytelling. Like Spain’s Pedro Almodovar (Julieta), Farhadi is a director who also writes his own screenplays. The Salesman isn’t about a Willy Loman-type character–at least not at the outset. Rana and Emad, a happily married young couple, are getting ready to star in a local production of the Arthur Miller play when they are forced to abandon their apartment and find another. In the opening moments of the film, the building in which they’re living starts to shake and crack apart, forcing everyone to evacuate. An earthquake? No. The demolition of the building next door seems to be the cause, but we learn this almost as an aside–it’s no biggie, just another example of daily life in Tehran. Fortunately (a sentiment that will haunt the couple and anyone who sees the film) a theatre colleague knows of a vacant apartment in his building, and they move right in. But one night, Emad is delayed at the theatre (asked to talk to the government censors who might shut down the production), and Rana is assaulted by an unknown man while taking a shower. She ends up in the hospital with a nasty head wound. It heals but begins to infect her relationship with her husband. She’s afraid to be alone, especially in the apartment. He fails to understand everything she’s going through. There’s half-hearted talk about calling the police (which speaks volumes about the view of law enforcement) but Rana, in particular, is worried about the inevitable damage to her reputation. The questions begin to mount. Apart from the head wound, what exactly happened to her? Did the attacker mean to assault Rana, or was he after the former tenant, a “loose” woman who left many belongings behind in her haste to move out? Emad becomes obsessed with tracking down the attacker and getting his own form of justice. If you or someone close to you has ever suffered through a cataclysmic event that struck out of nowhere (and who among us has not? ), you’ll appreciate the power of this story. Farhadi isn’t the type of filmmaker who points accusatory fingers at his characters. Instead he lets the viewer wonder: what would I do if it were me? Last month he told RogerEbert.com, “There are some very radical critics from the government who hate my films, in part because they believe my work represents a negative view of Iran for western audiences.” A Separation almost didn’t get made, in part because the government objected to Farhadi’s history of supporting several filmmakers who’d been exiled. In the end, he made it without any government money. In other words, he walks a fine line doing what he does. The people of Iran are richer for it, and so are the rest of us who go to see his films. It’s doubtful we’ll be seeing him at the Academy Awards this year. He’d planned to attend, then changed his mind after President Trump’s executive order visa ban was announced–even if an exception could have been made for him. If you’re looking for truth and a realistic look at a country that’s much in the news these days, this film–a work of fiction–might be a good way to go. If you haven’t seen Julieta and you love riveting and nuanced human dramas, get thee to the nearest movie theatre. Julieta is a Spanish-language film with subtitles, but it’s North American in origin–based on three linked short stories by Nobel Prize winning fiction writer Alice Munro, an English-speaking Canadian. Munro’s Juliet is a young Ph.D candidate whose life is forever altered by two chance encounters on a train. 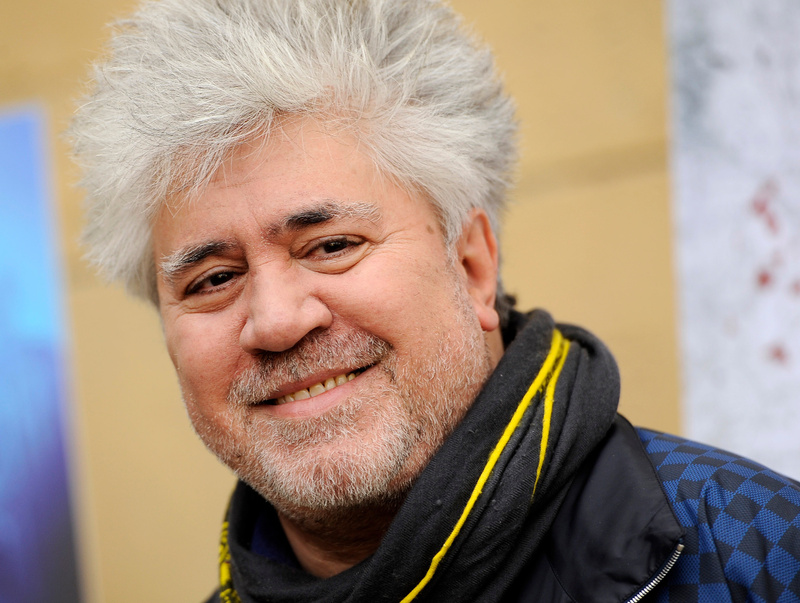 With finesse, film director Almodovar transforms her into Julieta. Having read the three Munro stories several times, I can say that the film doesn’t suffer from the change in setting. If anything, the film is richer than it might have been had it been set in Munro’s native Canada. The Mediterranean colors are bold and dazzling. The love affair at the story’s center is sexier and more passionate. Middle-aged Julieta’s heartache over her lost child (missing, but not dead) seems even more devastating. 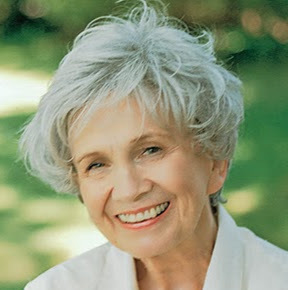 Apart from a love of storytelling, Alice Munro and Pedro Almodovar would seem to have little in common. Born almost a generation apart (she’s 85; he’s 67), they’ve both lived their lives in the countries where they were born. She’s reserved and straight (with a husband); he’s flamboyant and gay (and has a partner who doesn’t live with him). She’s college-educated; he couldn’t afford film school (although he does hold honorary doctorates from Harvard and Oxford University). She spent her post-college youth in the Vancouver suburbs, isolated from culture and weighted down by young children and a traditional husband; he moved to Madrid at 17 while Franco, the dictator, was still in power but experienced the liberating sense of freedom many young people felt when Franco died a few years later. 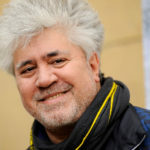 Munro and Almodovar have never met. They never collaborated on the film, and yet the result is a two-hour work of art, a compelling story about love, work, fear, regret, loss and hope. People are people, whether they live in Canada or Spain or pick-your-country. Art Without Borders. How’s that for a catchphrase? Art matters here, there and everywhere. Art matters. Art matters. Art matters……………. “You know this is a movie with subtitles, right?” asked the young man who sold me my ticket. Another couple had yelled at him the night before, after leaving the movie. You didn’t tell us it had subtitles! I’m assuming the couple could read but hadn’t bothered to read the ads/promotional materials about the film. How sad. The yelling, in particular. And blaming another person for one’s own laziness. Would they have complained if Meryl Streep were the star? That’s another remarkable thing about this film. Who fires Meryl Streep? When Pedro bought the film rights to the stories back in 2009, he decided Juliet would be his first English-language film. He would call it Silence, the title of Munro’s third story (the first two are Chance and Soon). He would set it in New York City and on the New England coast (the sea is critical to the plot) and he lined up Meryl Streep to star as the middle-aged Juliet. As time passed, he worried that he didn’t understand North American culture well enough to make the film he wanted. He and Meryl amicably agreed to put off working together until a future time. Then Martin Scorsese beat him to the title Silence, and Pedro’s Spanish film became Julieta. Pedro Almodovar is arguably Spain’s most famous living director, and Julieta is his 20th feature film. He has two Oscars, two Golden Globes and many top Europe-based awards. It is said that no two of his films are alike. If you haven’t seen any, these titles speak volumes: Tie Me Up! Tie Me Down! ; Dark Habits; Bad Education. He’s also made films like All About My Mother; Talk to Me; Volver. His earliest films were campy and raunchy and irreverent and featured characters who were gay or transsexuals or transvestites. Julieta, in comparison, is tame–but it’s also tender and powerful. That’s exactly what Almodovar has done with Munro’s Juliet stories. He’s changed a few details and plot points to better reflect Spanish culture and family dynamics, but he hasn’t changed the essence of the story–a story that can speak to us all. That seems like a great reason to watch this foreign film and others, too–even if you don’t care for subtitles.